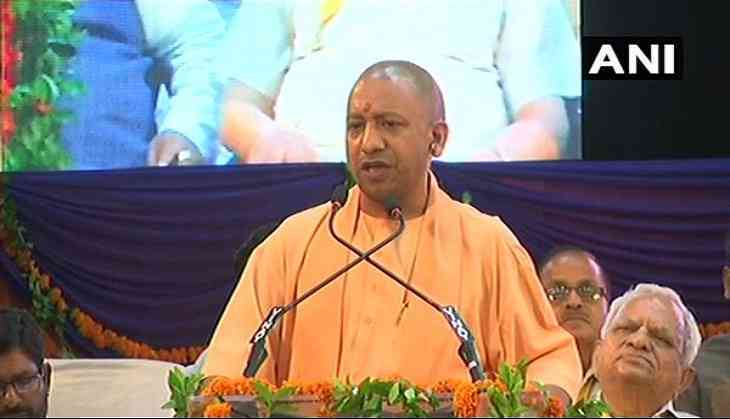 Uttar Pradesh Chief Minister Yogi Adityanath on Tuesday said the ruling Bharatiya Janata Party (BJP) in the state has accepted Ram Rajya as the ideal form of governance as there is no discrimination under it. Speaking at a function to mark the 69th birth anniversary of Sone Lal Patel, founder of Apna Dal--an alliance partner in the ruling NDA, the Chief Minister insisted that there is no discrimination against the poor, deprived and all sections of society in the state. "We accepted Ram Rajya as the best example of governance. Why? Because there's no discrimination under it. There is no discrimination against anyone and when there is no discrimination against the poor, deprived and all sections of society honestly get what is rightfully theirs. This is the reason we have accepted Ram Rajya as the ideal form of governance," Adityanath said. Adityanath recalled that when Narendra Modi took oath as the Prime Minister of the country, he had assured that his government would work in the interest and welfare of all the 125 crore citizens of India including villagers, poor, farmers, women and all deprived sections. While paying tribute to Patel, the Uttar Pradesh Chief Minister said the efforts are being made in the state to provide basic amenities to all the deprived people from all sections of the society.